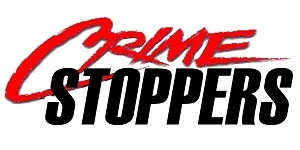 Crime Stoppers is a non-profit organization in which members of the community, the media, and law enforcement agencies and businesses work together to solve crime. Citizens are encouraged via cash rewards and a promise of anonymity to provide information leading to the arrest of criminals and /or the recovery of illegal narcotics and stolen property. The McDowell County Crime Stoppers, Inc. is a non-profit, 501(c) (3) organization and is not a government agency or program. The organization is governed by a volunteer Board of Directors composed of McDowell County citizens interested in combating crime and improving community safety. The Crime Stoppers Coordinator is Richelle Bailey and is employed by the McDowell County Sheriff’s Office. The coordinator manages the criminal information received and reports to the civilian board about successful tips. Each week, facts pertaining to unsolved crimes are publicized via radio, social media outlets, newspaper and television. Citizens are encouraged to call the Crime Stoppers Anonymous Tip Line 828-65Crime or 828-652-7463 with any information about the unsolved crimes. 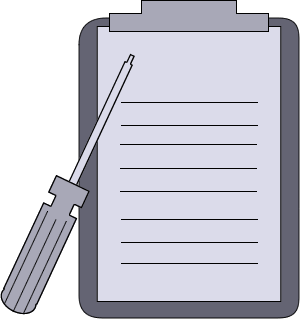 Each informant is given a code number so that confidentiality and anonymity are ensured. Rewards of up to $1,000 dollars provide incentive to potential informants. However, a large number of our callers do not want a reward but simply provide information because of a sense of civic duty. Funding for Crime Stoppers comes from donations made by private citizens, professional associations, large corporations, and small businesses, and retailers, civic and social groups. Rewards are funded by these voluntary, tax-deductible donations and Crime Stoppers receives contributions throughout the entire year. The Board of Directors also holds an annual golf tournament to help fund the organization. Professional fund raisers are never used. This allows 100% of the funds raised to benefit the organization. Crime Stoppers is one of the few non-profit organizations that directly benefits local law enforcement agencies. This means that all the citizens of McDowell County benefit from Crime Stoppers. Therefore, in a community where citizens work together with law enforcement to solve crimes, the threat of swift and sure punishment serves as a strong deterrent to would-be criminals. Serving a population of fewer than 45,000 people, the Crime Stoppers organization has led to the recovery of large amounts of illegal drugs and stolen property. Crime Stoppers has also led to numerous arrests of offenders and has paid thousands of dollars in reward money. More recently, Crime Stoppers has been successfully utilized by the McDowell County School System in helping remove illegal drugs and weapons from its campuses. Tips can now be sent via text which has been a useful tool in today’s growing technology world. McDowell County Crime Stoppers, Inc.